Our late Holy Father encouraged us to question ourselves very seriously as to whether God may be calling us to such a vocation and for those who believe that they may be called to a vocation such as these, that they may receive the necessary clarity about it, and then respond to God’s call with a joyful “yes”. Vocational discernment is a process, where the Lord when He wills it, reveals His will, as well as the soul’s deepest desire to an open heart. Our response needs to be like Simon Peter and his brother Andrew, who when called by the Lord, dropped their nets when He said to them, “Follow me, and I will make you fishers of men.” Each vocation entails leading souls to communion with the Blessed Trinity, whether that be our spouse and children, a parish, our brother or sisters in community, or our spiritual sons and daughters that we pray for and serve. Bl. Pope John Paul II showed us how God acts in every vocation. In the book of Exodus, chapter 3, God makes Moses aware of His presence in the burning bush. When Moses began to show interest, God called him by his name. Moses said to the Lord, “Here I am,” and in this way, he was saying to the Lord that he was at the Lord’s disposal to serve the Him as He wills. God revealed Himself more clearly to Moses, as well as revealed His love for His people. God then told Moses how he should serve Him. From there, fear and doubt welled up in the heart of Moses. God reassured him that He would be with him; that there was nothing to be afraid of. Our vocational discernment process is the same way. Although we may feel what God is calling us to may be too difficult, the Lord not only stays with us, He gives us spiritual strength through the Sacraments, prayer, and community. What must we to do to begin discerning our vocation? 1. We must discover and come to know the Lord – Through prayer, we must come to know who He is personally. We must see how He is revealed through the Church’s Sacred Scripture and Tradition, and in getting to know Him, we come to know ourselves better. It is here that we can find what He may be calling us to. 2. We must pray fervently, with faithfulness and perseverance – Furthering the point above, prayer is not like sprinting, but is more life a marathon race. We must constantly seek the Lord in Scripture and the Sacraments, especially in the Eucharist. Be sure to spend extra time in prayer after receiving Holy Communion. Attend Eucharistic Adoration frequently if you can or spend some time in front of the tabernacle in prayer before the Lord. Ask the Lord to reveal to you what He desires, but also what will make you truly happy. 3. Find a Spiritual Director to help guide you in your spiritual journey and also your discernment process – Reach out to a priest or someone who is properly trained in Catholic spiritual direction and ask for their assistance in this process. Do not do this alone. Seek someone who can help you better see what God may be saying to you through prayer and your coming to know yourself better. 4. Seek the aid of our Blessed Mother – Model your discernment and response after her. She will lead you to her Son. Once she said “yes” to the Lord’s call through the Angel Gabriel, she pondered all those things in her heart and made haste to serve her cousin Elizabeth. We must be like Mary in prayer and action in discerning our vocation. Pray for her assistance and guidance daily. She will help you. 5. Go and visit communities – Go on a “come and see” weekend with a religious community or a seminary. 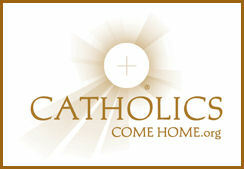 Speak to the vocations director of your diocese. Visiting communities does not mean you’re called, or that you may even feel called to the religious life or that community. It is simply just taking the opportunity to see if that life may be something you enjoy or not. Get out there. 6. Speak to people with solidly formed vocations – Reach out to a faithful Catholic married couple and get to know them. Ask them questions. Speak to priests, sisters, brothers, or consecrated single men or women. These people will also help you to discover what your heart truly longs for. If you are already in a vocation, or perhaps not, don’t forget to encourage other people in your life who you think might have a vocation to a certain state of life to discern that possible vocation. Sometimes someone may just need a bit of encouragement. Sometimes you might be the only one to support them or encourage them in their vocation. Don’t be afraid to ask the question “Have you ever thought about ______?” It may just be the one thing they need to hear to lead them to their vocation.